End the support of Terrorism. 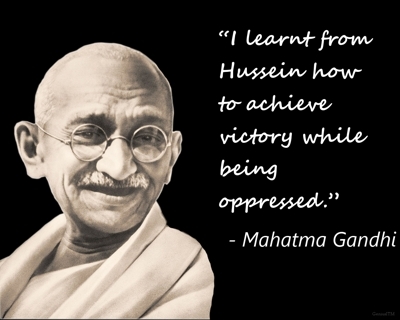 Follow Gandhi’s teachings, not Khomeini’s. But what does that have to do with what Gandhi actually said? imam Hussein: if you don’t have religion at least be a free man. It is a praise of sacrifice and a condemnation of violence, unlike what the anti-Zionists claim.